New auto sales figures show Americans prefer trucks and SUVs, and are really not ready to buy electric vehicles in large numbers. Here’s why. 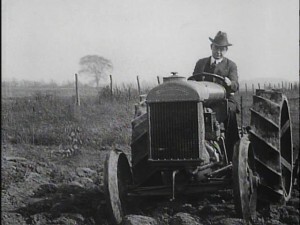 A Fordson tractor in action. Thirty years ago I wrote a master’s thesis about the transition from horse-drawn technology to power farming in Saskatchewan during the first three decades of the 20th century. One of the trends I discovered has a great deal of relevance for the modern debate about how fast EVs will be adopted. A key variable in a farmer’s decision to buy the first tractor, and associated equipment like combines, was the cost per unit of work. The most common calculation was cost per unit plowed. The calculation was usually done out in the field or in the equipment dealer’s showroom, and for most farmers it wasn’t overly complicated, a “back of the cocktail napkin” process. Common sense and experience as consumers tells us that as the new technology’s cost per unit gets closer and closer to that of the existing technology, more people will buy the product. Henry Ford, founder of Ford Motor Co., which introduced Fordson tractor in 1918. And that’s just what happened with power farming. Early tractors were huge, unwieldily things, underpowered and prone to breaking. They were mostly restricted to large farms where farmers enjoyed economies of scale and could afford the maintenance. 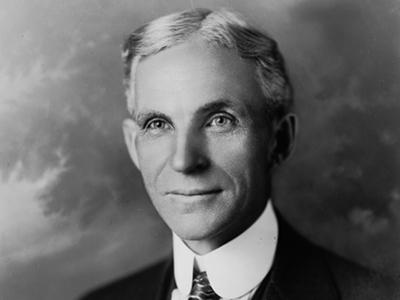 But in 1918, Henry Ford introduced the Fordson, a small and cheap tractor that borrowed a lot from Ford automobiles of the day. Ford’s competitors soon followed suit. Suddenly, tractors started to become attractive to smaller operators. During the boom years of the 1920s, power farming sales blossomed. Here’s where the comparison with EV sales becomes important. What I found was that Innovators, that small percentage of the population that just has to have the newest gadget, would pay a large premium over horse-drawn cost per unit to plow a field. They would mortgage the farm for the satisfaction of bumping along on a cast iron seat and inhaling noxious fumes from those inefficient early engines rather than walking behind a horse-drawn plow. But the next group, Early Adopters, would only pay a premium of 10 to 30 per cent. And Majority Adopters required the cost to be the same per unit but really preferred it to be lower. Late Majority Adopters were curmudgeons and needed to see significant cost savings before they took the power farming plunge. Now, let’s see how these concepts apply to EV consumers, starting with the example of the Nissan Leaf, a popular EV in Europe but one that has yet to catch on in North America. The base Leaf retails for about $29,000, but federal ($7,500) and state subsidies ($2,500) bring the purchase price down to between $19,000 and $21,500. The Nissan Versa Note, a sub-compact 5-door hatch about the same size and configuration as the Leaf, starts around $14,000. Leaf buyers will be paying a premium of 26 to 35 per cent over the Versa Note, on the high end of the premium an Early Adopter is willing to pay. Throw in range anxiety – the number two constraint to EV adoption, behind capital cost – associated with 107 miles to a charge and no back up internal combustion engine (ICE), and the premium goes up even higher from the consumers’ point of view. Not surprisingly, Leaf sales in America are pretty tepid, only 17,269 in 2015, a year in which total US auto sales hit 17.5 million. 2014 sales were higher at 30,200, but still a fraction of US sales. My rough calculation for the Chevy Volt, a close competitor of the Leaf, yields similar results. The Volt is built on the Cruze platform. Volts start around $33,000 and qualify for the same subsidies, bringing the purchase price down to between $23,000 and $25,500. The Cruze starts around $16,000, a whopping premium of 30 to 37 per cent, putting it into the territory of Majority Adopters. The Volt has a range extender engine, but its rear seat is small, limiting its purchase by families. No wonder only 15,393 Volts were purchased in 2015. One variable we haven’t considered is fuel costs. The cost to recharge EV is a pittance. A Leaf can be recharged for under $4 when electricity costs $.12/kwh. The Volt costs about half that amount. The average driver might save $100 to $200 a month when gasoline costs $4/gallon, but the savings are significantly less given current prices of around $2/gallon. Is $50 to $100/month in savings enough to overcome the purchase premium and the ancillary issues (e.g. 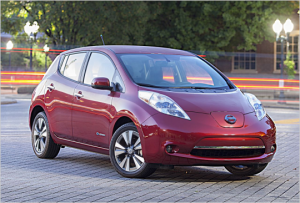 range anxiety, convenience, smaller size) of EVs? Again, apparently not according to the American EV sales numbers above. My analysis is crude – “back of the cocktail napkin” figuring, just like early power farmers of a hundred years ago – but it appears to line up pretty well with what is happening in the EV marketplace. EV buyers appear to be Innovators willing to pay a very high premium in both price and features. Their purchasing decisions are likely influenced by political (save the planet!) or cultural (how cool am I in this EV?!) considerations. But until EVs like the Leaf and Volt reduce the price premium to the 10 to 30 per cent range and compare more favorably features-wise to ICE competitors, EV sales are probably stuck in low gear.